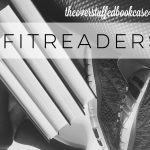 So this is my first week doing #FitReaders (with the exception of the couple of times I kind of started before but never stuck with it), and I technically signed up for June so I guess I should be starting with June 1, but I’ve been exercising almost every day for the past 7 weeks, so I’ll just go ahead and share what I’ve been doing for the week. Right now I’m doing a second round of Cize, and while I enjoy it a lot of the time, I’m just not seeing any kind of progress, except for the fact that I have much more stamina. But I suppose that would have happened if I had done any other program, since I hadn’t exercised at all for a long time before I started the first round of Cize 7 weeks ago. But I plan on finishing up this round and then switching to 21 Day Fix, hoping that I’ll be more successful with that. My family and I are going to try to start walking several evenings a week as well, so that will be a nice addition to the programs I’m already doing. I’m also (mostly) doing the portion-control meal plan that goes along with Cize, but I have had several not-so-great meals this week. I’m hoping to eat much healthier next week. Yea! So glad you signed up. I look forward to reading about your journey. Be sure to give a shout out if you have questions or need support. Sounds like you have a great attitude so far! 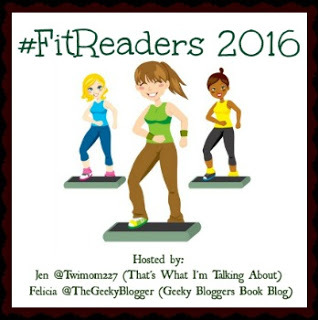 Yay…another #FitReader member!!! Our group has really grown, which is so great :) It's such a friendly group and very motivating!!! How is the Cize program? I'm a walker and a yogi-wannabe ;) but always like to try new things!